These three island destinations offer authentic Greek island experiences full of fun and exploration that are accessible to all. 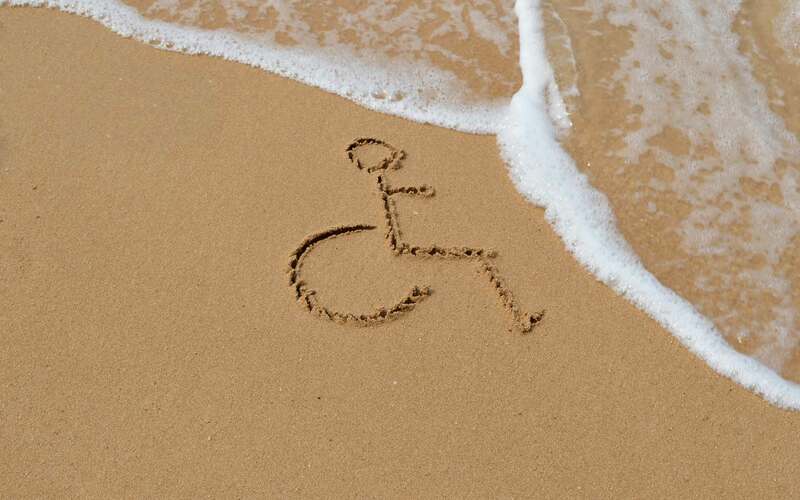 The bad news first: unfortunately, many summer destinations around Greece are not yet disabled-friendly. For those who use wheelchairs, the uneven terrain and widespread lack of accessibility infrastructure on the islands can pose problems. Even getting there can be an issue for some, as some ferry boats are not equipped to handle heavy motorized wheelchairs. The situation is usually easier in large resorts which are often well-equipped to cater to people with disabilities. But what about for those who want to enjoy their time in Greece outside the grounds of a cookie-cutter resort? 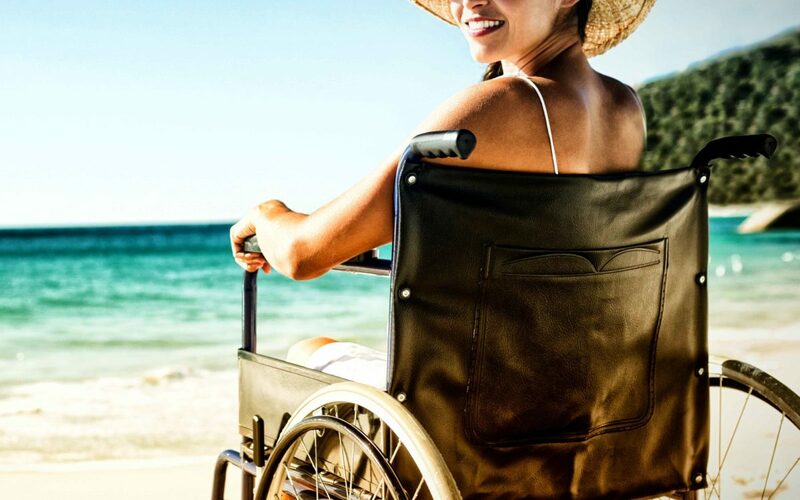 Fortunately, at least in some areas, things are moving in the right direction, meaning that a physical disability should not be a reason to keep you from enjoying a classic Greek holiday full of sun, fun and exploration. Setting out to find the most accessible places in Greece, we decided to shine a light on three island destinations that stand out for various reasons. Common to all three is that the locals have taken on the task of making vacations memorable for everyone, ensuring that the top attractions are accessible to all. But this list is by no means exhaustive so if you’re still tempted to find additional destinations, valuable sources can be found here. Floating wheelchairs make it easy to enjoy the sea. The famous Ionian island of Corfu (called Kerkira in Greek), is among the busiest in the summer, particularly in the main town. Arguably the best time to visit is in the late summer to fall (end of August to mid-October), when the weather is still exceptional, the sea is warm after months of sun and the crowds have begun to thin. And thanks to the municipality’s excellent work in making their beaches more accessible, Corfu is one of the best places to visit if what you dream of are days spent by the sea. Twenty of the island’s beautiful beaches (two more to be announced this year) are equipped with floating wheelchairs, which can easily be moved in and out of the water. 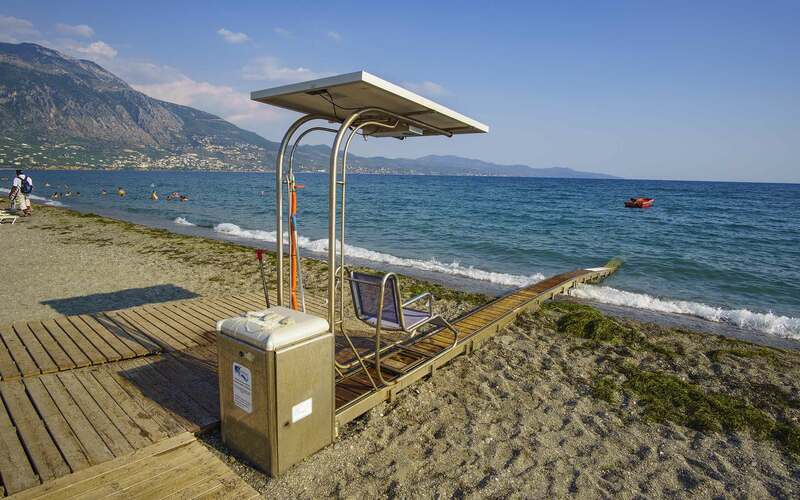 Additionally, one beach has a solar powered Seatrac system (to be put back into use in spring – find all Seatrac systems in Greece here), and at least two have well-maintained ramps. 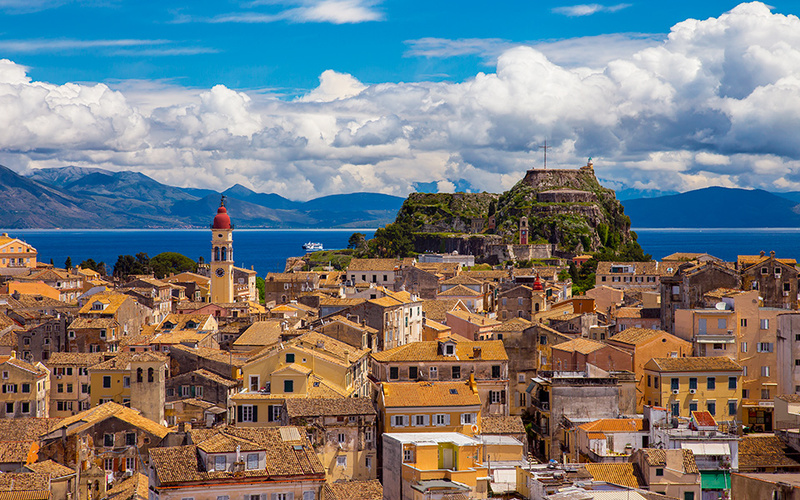 The Old Town of Corfu is 80% wheelchair accessible. All of this development is partly thanks to Andreas Skoupouras, the island’s Deputy Mayor for Welfare and Social Policy, and chairman of the Corfu Prefecture Association of People with Special Needs. As a well-traveled person who uses a wheelchair, he decided to fight to make Corfu accessible after having felt trapped and confined to tiny areas when on vacation. In his role, he has inspired the community to improve accessibility around the island. However, his efforts would be fruitless if it weren’t also for the many businesses that have chosen to contribute. Beach bars, restaurants and watersport centers have “adopted” the equipment; in return for having the chairs on their beach, they take care of cleaning and storing them. They’re also happy to assist when needed. The beaches all open sometime in April or May, and operate to the end of October. Many hotels and rooms for rent on the island are also either wheelchair accessible already, or in the process of being made so. The Greek company TOBEA is behind Seatrac - a fixed track mechanism for the disabled allowing them to get in and out of the sea with ease. “There is profit to be made from becoming an accessible destination,” Skoupouras says. Free disabled parking spaces are available in the New Town, as well as inside Mon Repos, a totally accessible 26 hectare estate outside of town, featuring lush gardens and a palace built by the British in 1831. The municipal theater and indoor swimming pool have also been made accessible, using the latest technology, as have several other public buildings. The latest project set in motion by Skoupouras is to improve access to the Old Town, a UNESCO heritage site, which is 80% accessible today. This spring, 23 maps are going up in the kantounia (the narrow streets of the Old Town), where blue lines will indicate “disabled friendly routes”, completely free of steps, while other colors indicate hills. Even more impressive, by the start of this summer, you’ll be able to download an app with the maps, which will work with your smartphone’s GPS. It’s the first time such an app will be made for a UNESCO site. You can reach the island by airplane, or by ferry. Find Tripadvisor’s list of wheelchair friendly accommodation options on Corfu here. Dryopida, full of houses topped with red-tiled roofs, is one of the five main villages in Kythnos. Located in the western Cyclades, Kythnos is one of the lesser-known islands in the group. While both Greeks and foreign tourists visit, you can expect fewer crowds and more authentic island life here than on, for example, Mykonos or Santorini. It also has the bonus of being a relatively short ferry ride from Athens. Visit in July or August to experience some nightlife and mingle with other tourists. Going in spring and fall is also nice, as the interior of this island is just as pretty as its coastline. 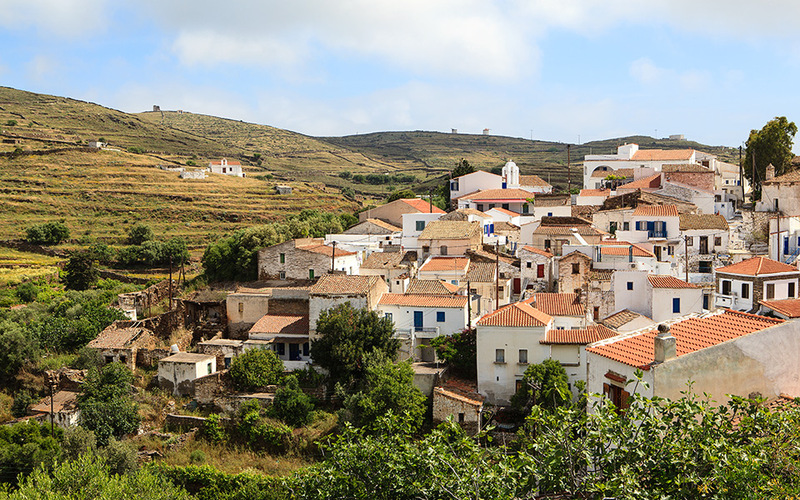 The villages on the island, including the main village, known as Messaria or Hora, feature flat squares and village centers, which are relatively easy to get around. Unfortunately though, the Katafyki cave in Dryopida, and the medieval castle at Oria are not accessible with a wheelchair. 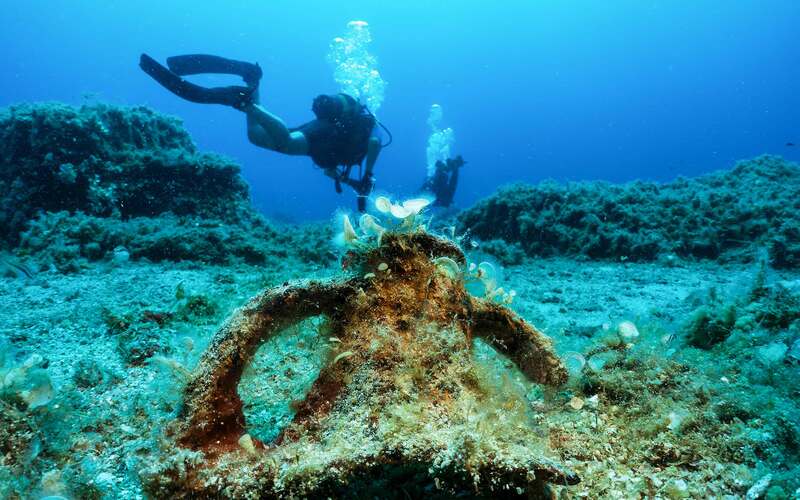 What makes Kythnos stand out, however, is hidden below the surface of the sea. Here, the world is just as full of life and history as it is above, and diving in the shallow waters is made easy at the diving school AquaKythnos. 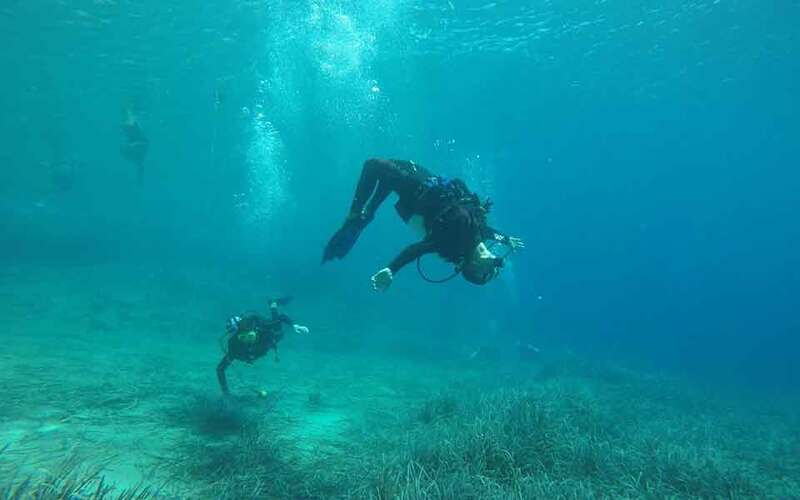 Run by Manthos Marras, Greece’s first disabled scuba instructor and Greek representative for Disabled Divers International (DDI), their offices as well as the boat that takes you to the various diving spots around the island, are accessible. The best diving spot depends on the weather. 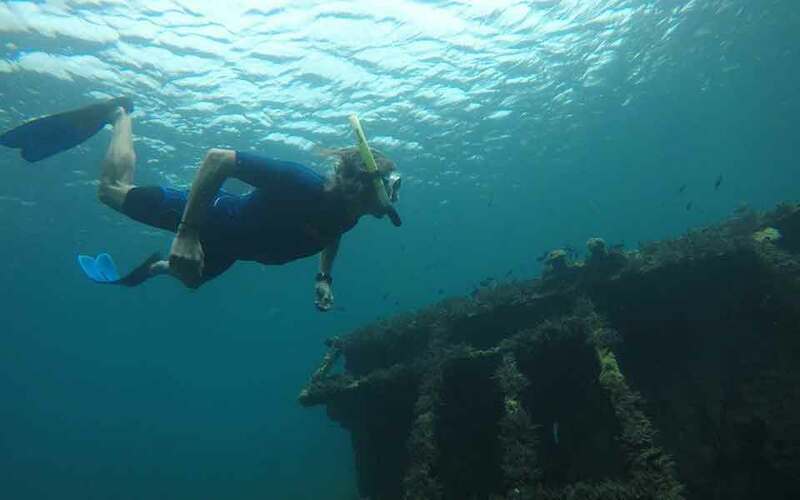 One of Marras’ favorite places is the site of a WWII shipwreck, the cargo ship Niki, sunk in shallow waters during a German attack from the air. In the company of plenty of little fish, which flit in and out of the ship’s cracks and crevices, diving here is like an interactive lesson about history, the sea, and the passing of time all at once. In terms of life in the water, there’s more to see than fish as well; you’ll spot both corals and sponges. If you prefer to stay closer to the surface, Marras’ boat is still an excellent way to access all the island’s best swimming spots, and snorkeling is always an option. Be aware that getting to and around Kythnos is not possible for everyone. The lifts on the ferries from Piraeus (ca. 3 hours) and Lavrio (ca. 1.5 hour) require the passenger to get out of their wheelchair (which will be brought to deck by the staff), as do the taxis on the island. To find out exactly what type of equipment is used on your ferry (new vessels are often added during summer), call Antonios Larentzakis ticket agency at (+30) 22810.321.04). For wheelchair accessible accommodation, check out Kythnos Bay Hotel, located just near the diving center in Loutra. Built on a cape on Greece’s largest island, the historical city of Rethymno is surprisingly level. The roads are also somewhat wider than in the other major cities on the island, which makes getting around easier, and there are plenty of accessible accommodation options. Just like on Corfu, visiting in spring or fall, when it’s less crowded and hot, is a good idea here. 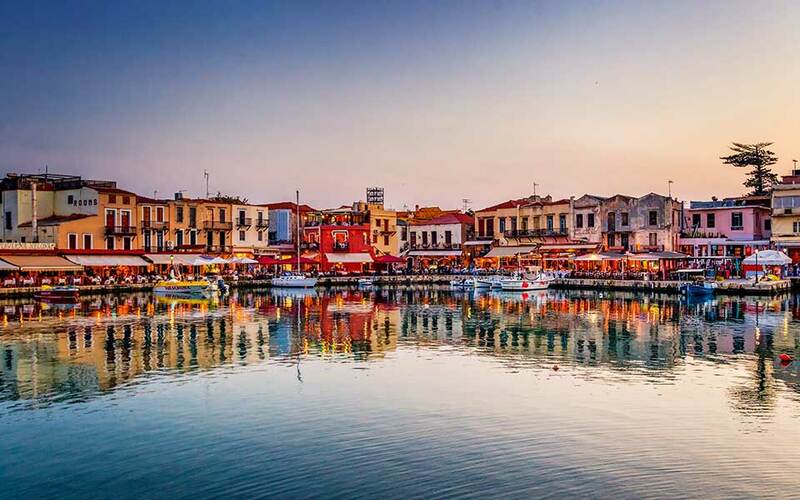 Rethymno, like the other cities on the island, features the perfect combination of cultural heritage and beautiful beaches, and much of it is accessible. 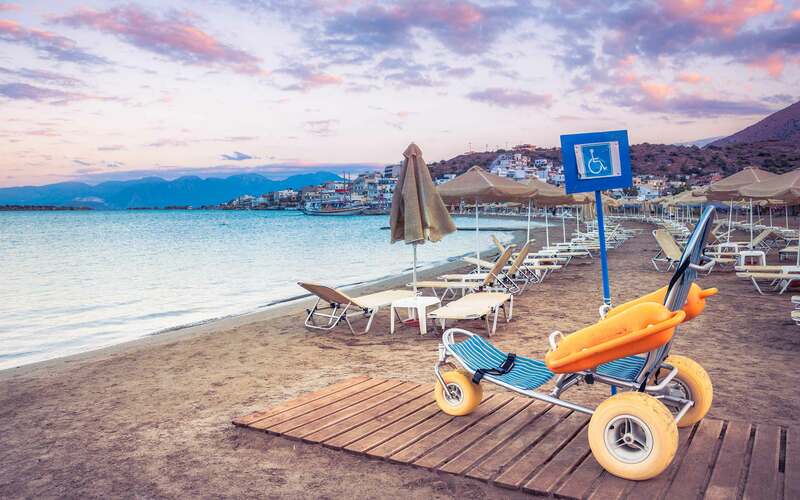 Many parts of Rethymno’s famous Blue Flag-awarded sandy coastline are equipped for wheelchair users, and feature lifeguards and accessible bathrooms. Within the city, many of the main sites, including the Rimondi Fountain, the Guora Gate, the Aghios Frangiskos Church, the Piazza, and of course, the entire seafront promenade and Venetian Harbor with its famous lighthouse, are accessible as well. To venture out of the city, your best choices are Eria Travel (+30 28218.006.00), a company that specializes in accessible holidays and feature both adapted tour buses and rental cars, and White Taxi (+30 697.161.5244, +30 697.377.1739). The historical city of Rethymno is surprisingly level and easy to get around. A few years ago, the Municipality of Rethymno coordinated with the National Confederation of Disabled People to implement a program to improve the conditions for people with disabilities, with funding from the European Regional Development Fund. 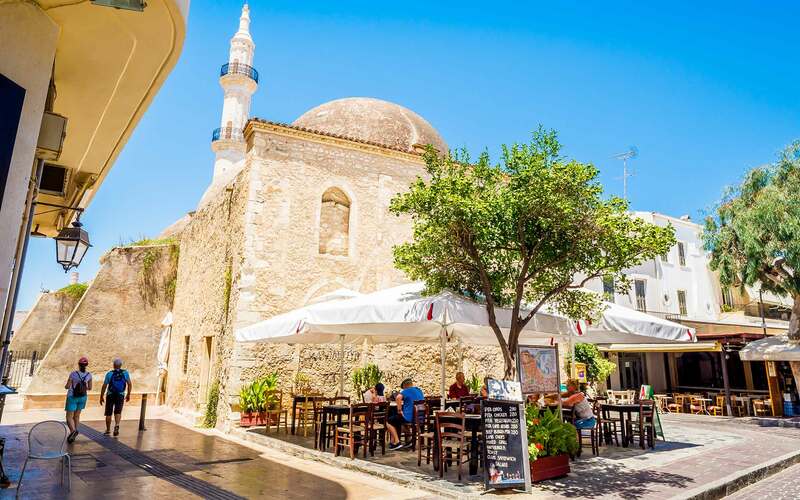 The project, called “Rethymno For All”, didn’t just include physical improvements of infrastructure and general accessibility, but also aimed to foster better communication between citizens and visitors. A digital travel guide was created, and while some of the information is outdated today, it can be a good starting point when you’re looking for information about accessible accommodation, beaches, and public services. Find it here. To get to Rethymno, fly to Heraklion or Chania, and use a taxi service from there, or take a ferry from Piraeus. Find Tripadvisor’s list of wheelchair friendly accommodation options in Rethymnon here.